Discussions will be held on whether Lillehammer should bid for the 2026 Olympic and Paralympic Games, with the town the “only” potential candidate from the country at this stage, Norwegian Olympic and Paralympic Committee and Confederation of Sports (NIF) secretary general Inge Andersen told insidethegames here. The second edition of the Winter Youth Olympic Games, due to come to a conclusion tomorrow, has generated fresh enthusiasm for a Norwegian bid for the main event. This comes despite Oslo’s controversial bid for the 2022 Games, eventually awarded to Beijing. The Norwegian capital withdrew following a rising tide of public and political opposition. The International Olympic Committee (IOC) blamed Oslo 2022 for the "missed opportunity", with its Executive Director for the Olympic Games Christophe Dubi criticising the bid's leaders for failing to properly brief politicians. Dubi also believes a future Norwegian Winter Olympic bid would be an "incredible legacy" of Lillehammer 2016. Oslo’s failed bid and the circumstances around their withdrawal had caused tension with the IOC but the Games here have gone some way to repairing the relations between Norway and the Olympic Movement. IOC President Thomas Bach had claimed Norwegian people would embrace Lillehammer 2016 despite the Oslo debacle and the Games here have proved a success. 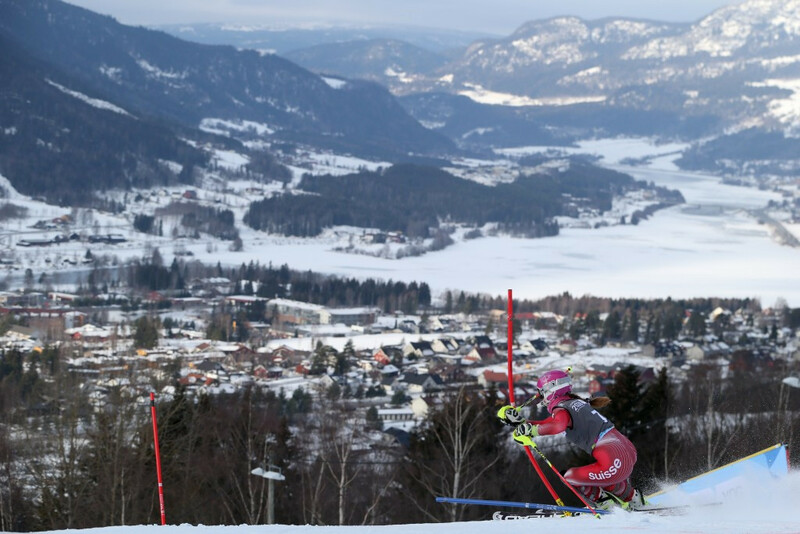 Lillehammer’s potential candidacy for a future Olympic Games has yet to receive the backing of Norwegian politicians, however, and other key figures are being careful to show too much optimism. It is also possible many of the problems which affected the 2022 Oslo bid could re-emerge. Andersen, secretary general of the NIF since 2004, revealed the idea of a bid from Lillehammer will be discussed after they have completed an evaluation of the Winter Youth Olympic Games. He stressed that Lillehammer would be a safe financial option for the IOC due to the strength of the existing facilities here, the majority of which were used the last time Norway staged the Winter Olympic Games in 1994. IOC member Gerhard Heiberg, President and chief executive of Lillehammer 1994, recently told Norwegian newspaper Verdens Gang that any such talks should be held “within 14 days” of the conclusion of Lillehammer 2016. “We will have discussions about whether we should put forward Lillehammer for the 2026 Olympics,” Andersen said here. “We have fantastic facilities here and we would not need to build anymore, so we would be able to keep the costs down. “We are really pleased with how the Youth Games have gone - everyone has been enthusiastic and we have shown that we can stage these events. “We need to evaluate what we have done here over the next six months or so and then decide if we are going to bid. “I think it would only be Lillehammer because we have all the facilities here. Various cities have been mooted as potential candidates for 2026, including parts of Switzerland and Almaty, Kazakhstan's biggest city which was left as the only rival to Beijing for 2022 after several rivals dropped out.